Recently I received an email from Amanda S. in Ohio wanting to know if I had any advice on how to go about checking out the different countries at the Food and Wine Festival. Being her first trip to the Epcot International Food and Wine Festival she had no idea what to expect. Since there is so much to see and do at the Food and Wine Festival. 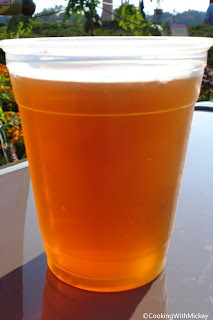 I figured I'd share the tips I gave for checking out the more than 25 booths at the festival. Click here for a list of Marketplace Menus. Come up with a game plan! Decide what countries you want to try, what do you want to eat and which drinks you must have. Then based on your list determine if you can accomplish it in a day or if you need two. Now you'll have a plan for an delightfully, fun and relaxing time at the festival. It's not everyday that you get to nosh on food from around the world so be adventurous. 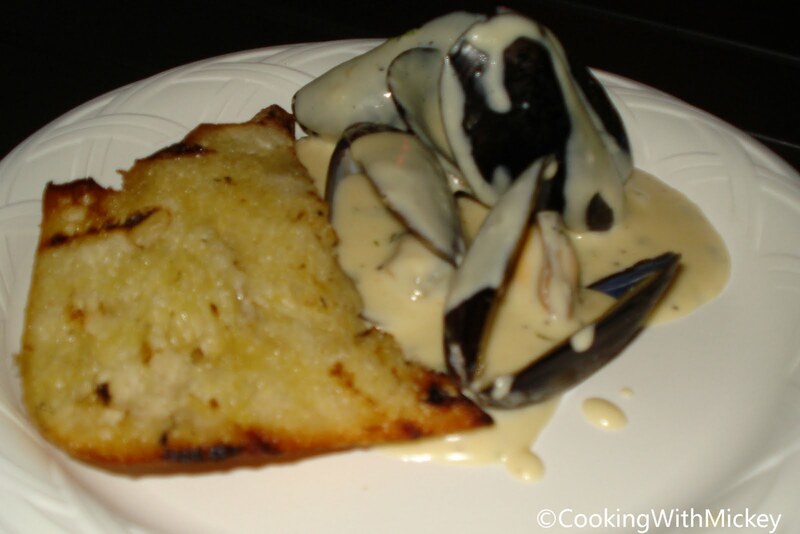 Try items you never have and sample foods you've never heard of, you might even discover a new favorite. 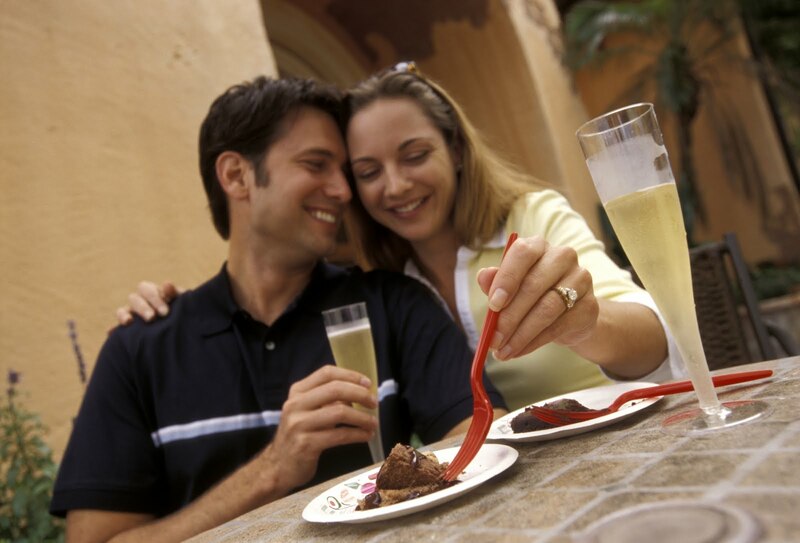 Sharing gives you the opportunity to sample more foods and drinks. This comes in very handy when you are wanting to try multiple items from the same booth! You have your plan of what you are going to try. The next step is to plan your Advanced Dining Reservations around the days you'll be at Epcot. It's best to plan to have your meals on those days at the booths. Otherwise you'll find yourself too hungry for your table service meals or even worse, missing out on what you want to try because you are saving room for dinner. By avoiding the weekends and going during the week it will be less crowded, shorter waits and more enjoyable. 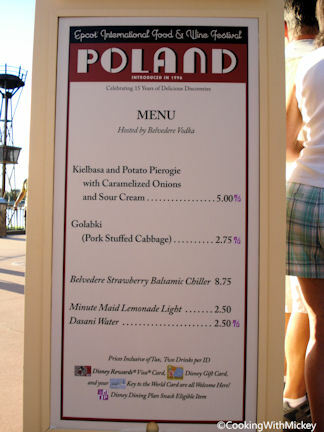 Starting Friday night and throughout the weekend the festival is very busy, as the locals are off from work and wining and dining around the World Showcase. So for a much shorter waits and room to move, visit during the week. 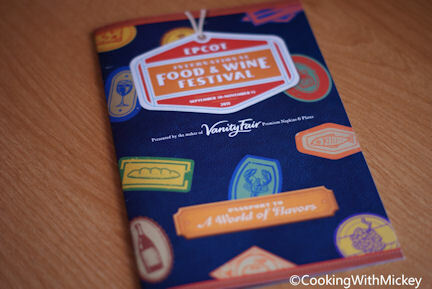 The Food and Wine Festival Passport is a little booklet that you can have stamped and check off which items your tried. Last year was the first year they had these at the festival. It made visiting each of the countries even more fun. By the end of my trip I had several countries stamped. So you've had your passport stamped and you've marked what you've had. Once you've done that make notes as to what you like and what you didn't. This way when you return in the following years you know which items to skip and which you want to try again. It will also help you when returning home and looking for that bottle of wine you enjoyed so much. I find that using a hotel notepad works great and you can stick it inside your passport. 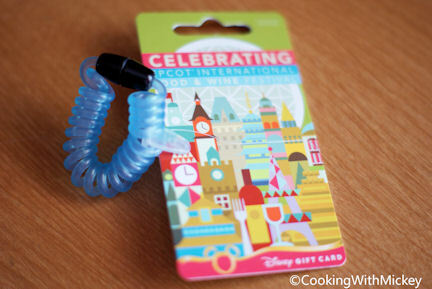 Disney Gift Cards make paying for your food and drinks so easy and convenient. 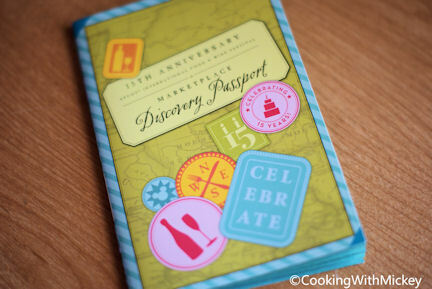 Available at several Epcot locations plus the Welcome Center and Food and Wine Festival gift shops. These gift cards are different from the standard gift cards you pick up year round. The festival cards have a wristband attached to them, making paying easier since you'll have your hands full with food and drinks. If you are on the Disney Dining Plan you can use your snack credits for select items. However, you want to get the most bang for your buck when using them so choose wisely. If you pick an item over $3 then by all means use your snack credits, but if it's less than $3 pay for it with cash or better yet, your Disney gift card. There are even some snacks that are over $4 that you can use your credits on! You'll most likely be drinking - wine, beer, or cocktails. The heat and humidity combined with alcohol will take a toll on you. It's very important to make sure you drink water while drinking around the World. This is so helpful-with so many firsts during the Wine & Dine Half Marathon Weekend, you have shortened my learning curve!